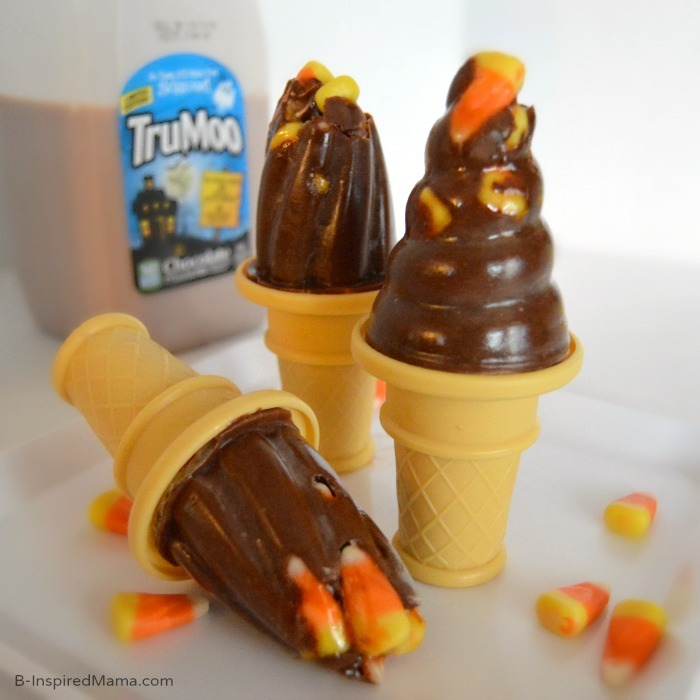 How About Some Pudding Pops for Halloween?! 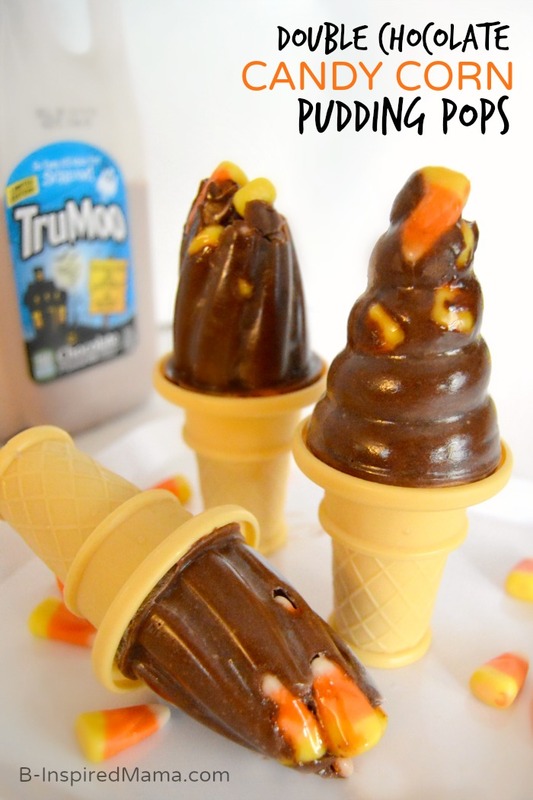 Add a few candy corn candies to the bottom of your popsicle molds. 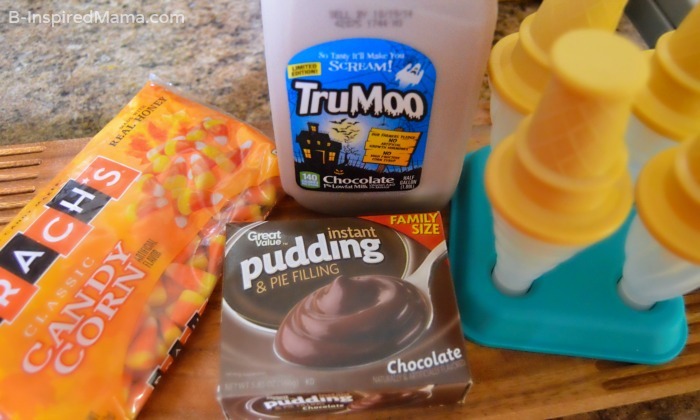 Make the instant pudding following the package directions, but use the delicious TruMoo Chocolate Milk in place of regular white milk. Before the pudding sets up too much, pour the pudding mixture into your popsicle molds. Toss in the freezer for a few hours or overnight until frozen. Enjoy your chocolatey Halloween treat! 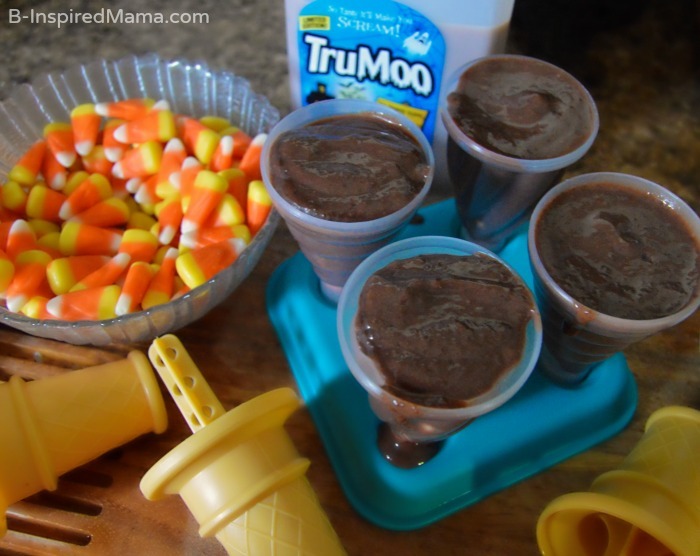 You could also make this easy-peasy pudding pops recipe using the special Halloween Orange Scream TruMoo. Both flavors are made with low fat milik from a trusted dairy ensuring no artificial growth hormones and have just enough sugar to be yummy but no high frustoce corn syrup. My chocolate-loving Priscilla was loving our double chocolate ones made with our Chocolate TruMoo! 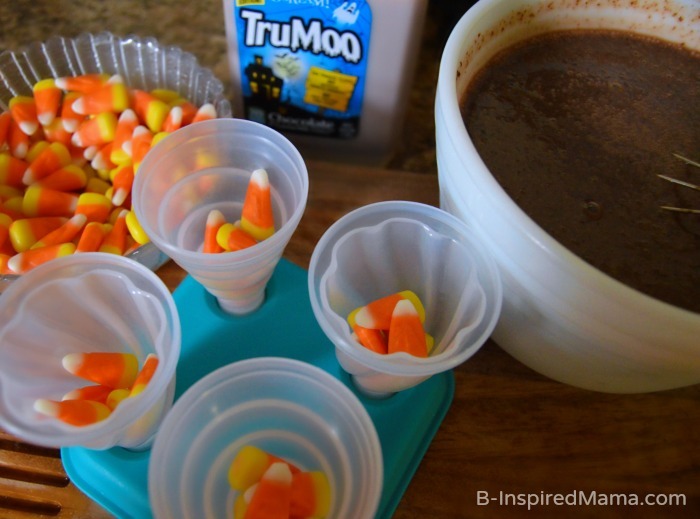 Make sure to follow TruMoo on Facebook, Pinterest, and visit their website for more delicious TruMoo Halloween recipes, too. 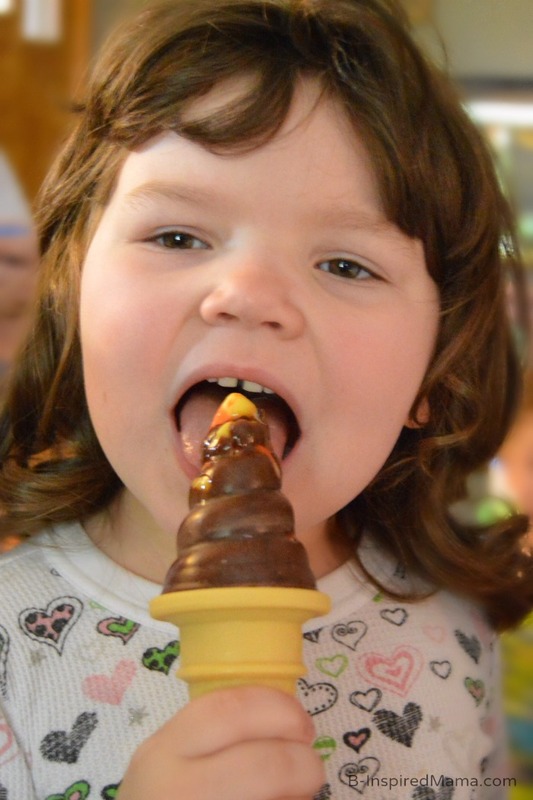 Did you used to eat pudding pops when you were a kid? Have you ever made them with your kids? What is your favorite Halloween treat? This is a sponsored post written by me on behalf of TruMoo. All opinions are authentic and my own. Please see my disclosure policy.